4) Now you can go back to community, We will add the new Page in this community. 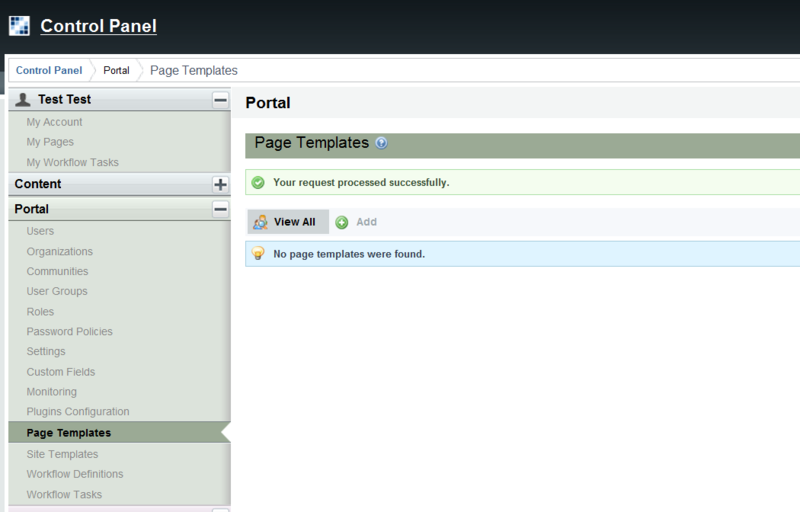 When you will add the page you will see the option to select the Page Template. 5) Once the page is added, Browse to the page . the new page looks same as the tempalte. See the URL is the browser. This entry was posted in Liferay, Technologies and tagged control panel, java, Liferay, liferay page template, Liferay6, Page Template, PageTemplate, portal. Bookmark the permalink. Can you help me with a related problem? 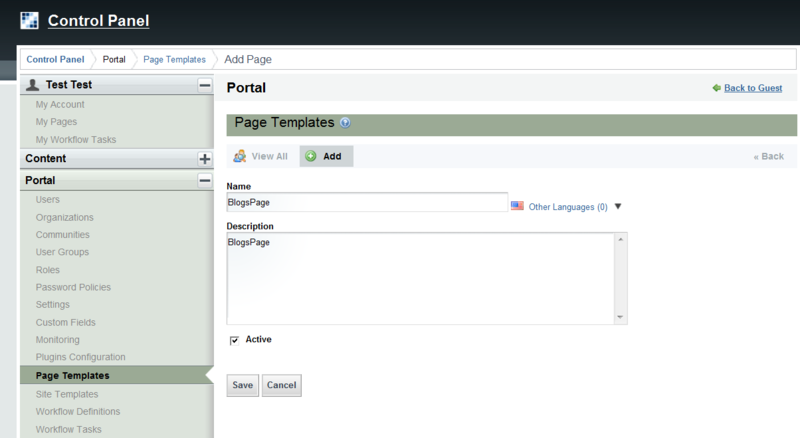 I create a Page template and add a Portlet Web Content Display. Users create a page and select a custom journal articule. But if a template change the selected content lose. I searched about but I didn’t found nothing. How can i resolve? 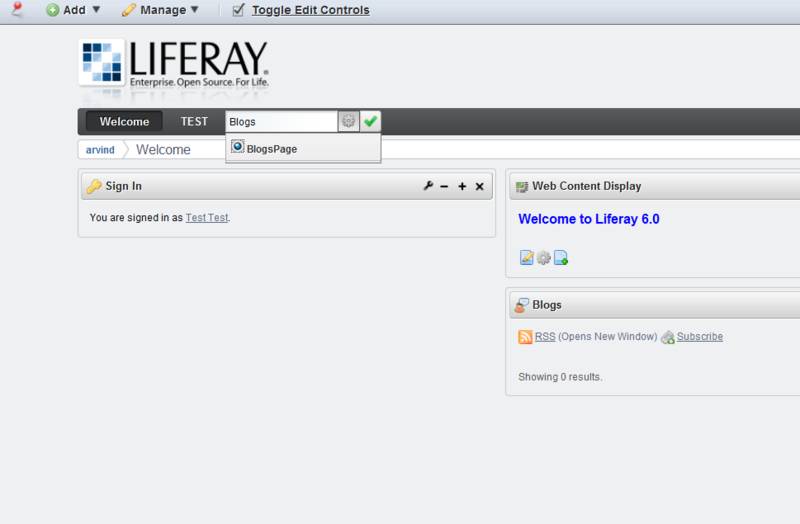 Which liferay version are you using? I know about the checkbox “Apply Changes Done to the Page Template”, but then the changes on the page template would not affect the existing pages. This is not what I want. 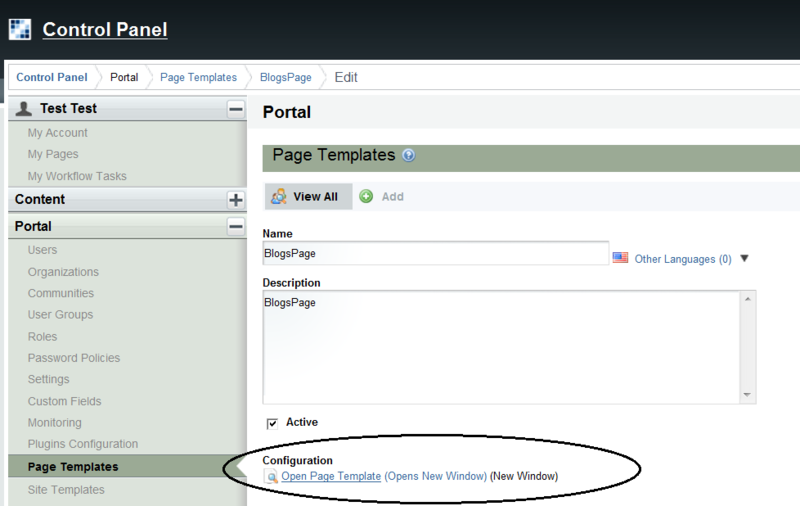 The functionality I’m looking for is: updating the page template would not affect the web content display portlet defined on the page created with the page template when no content is selected on the page template’s web content display portlet.